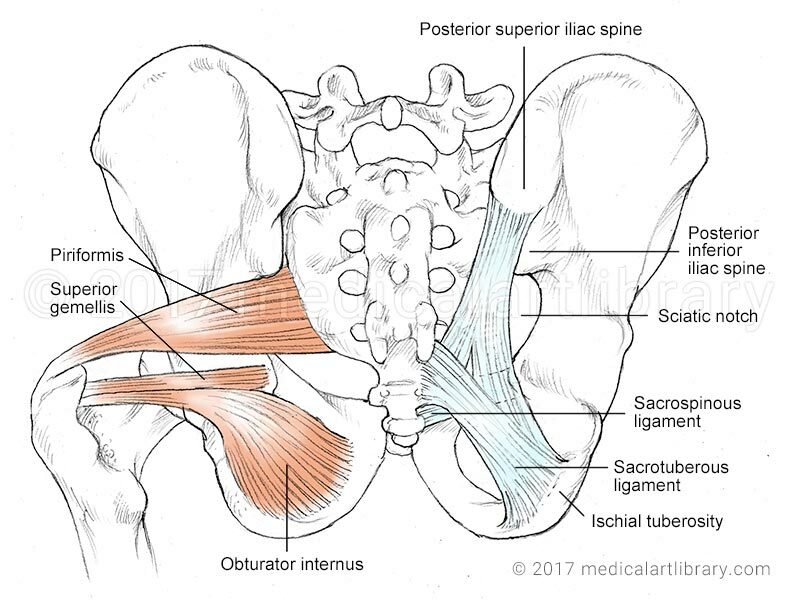 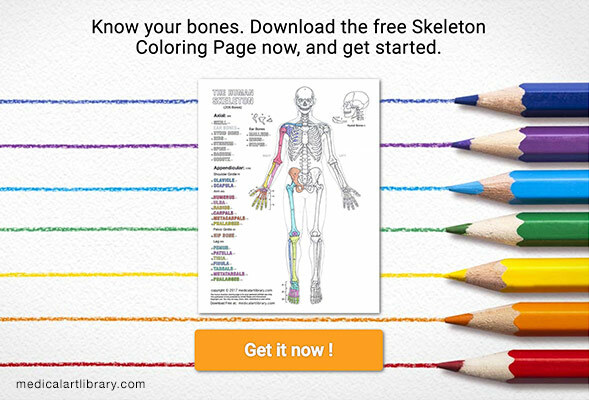 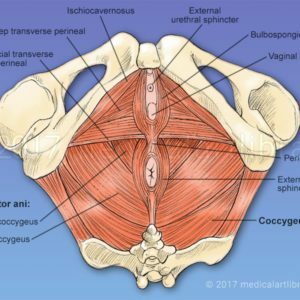 The piriformis is a flat triangular shaped muscle that originates inside the pelvis and passes through the sciatic foramen on it’s way to insertion on the greater trochanter of the femur. 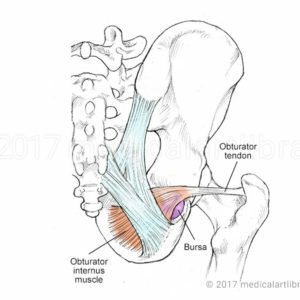 The superior gemellus lies parallel to the obturator internus tendon, and it’s tendon blends with that of the obturator as it inserts on the greater trochanter. 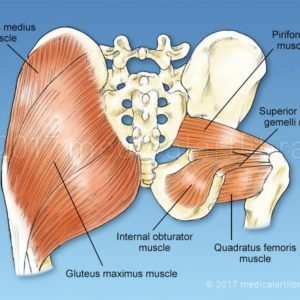 Piriformis syndrome can occur when the piriformis muscle compresses the sciatic nerve.